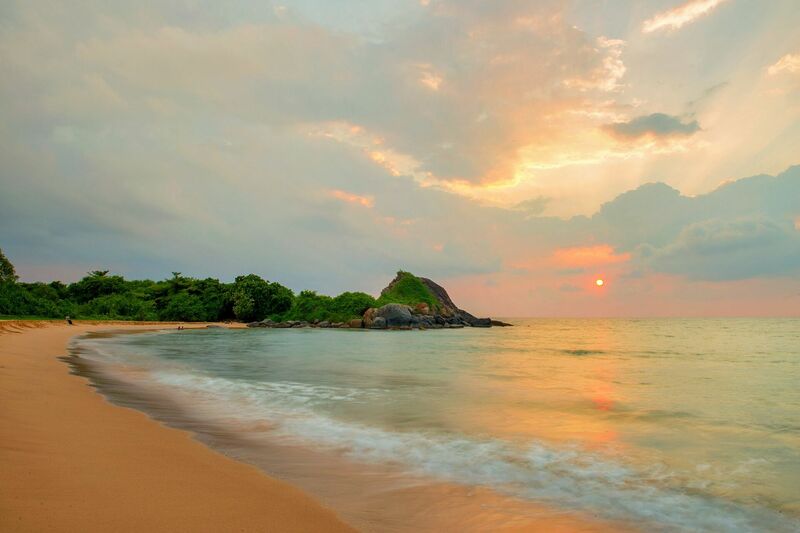 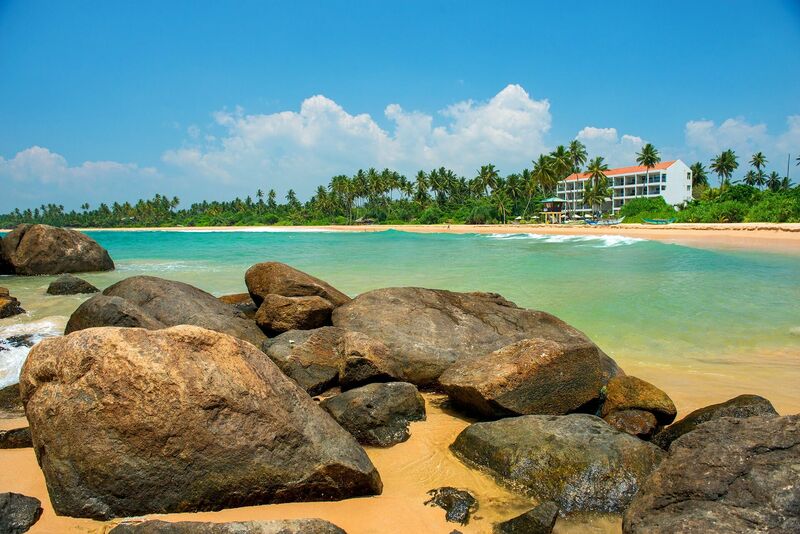 Shinagawa Beach, Balapitiya is set on a stunning stretch of secluded beach. 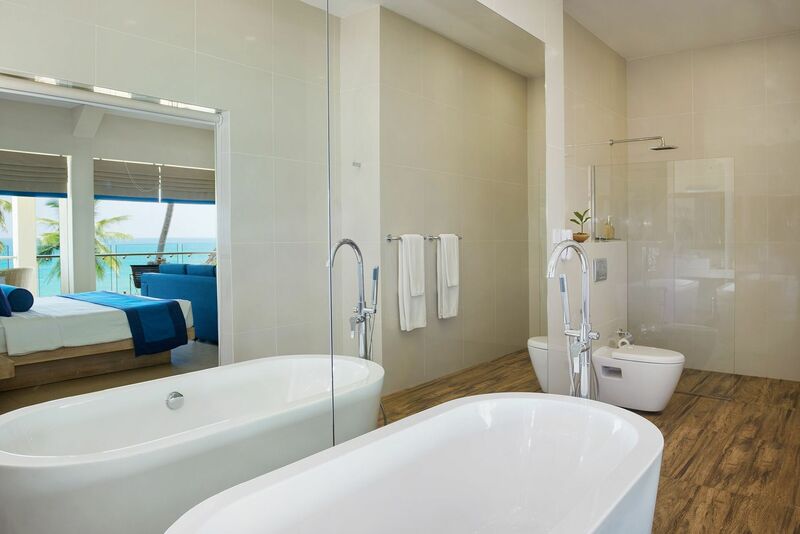 Whether you are in the bar, the restaurant or from the bathroom or private balcony of your room, you will be able to enjoy the most amazing views. 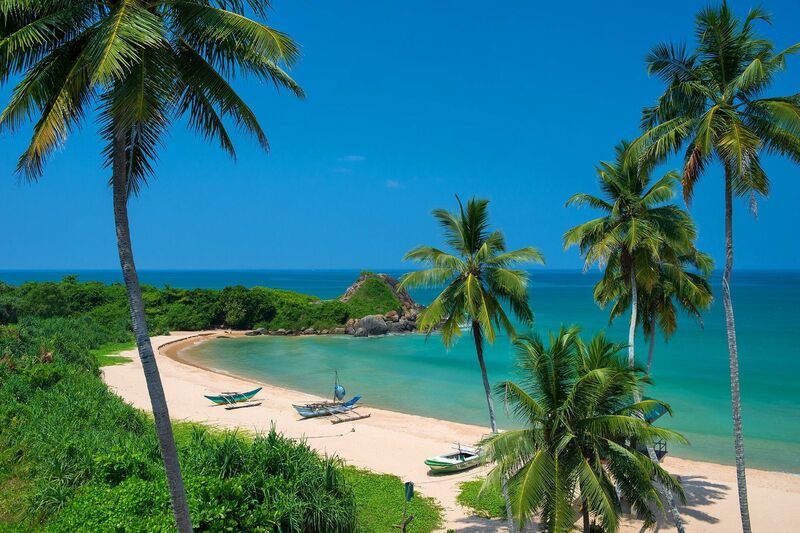 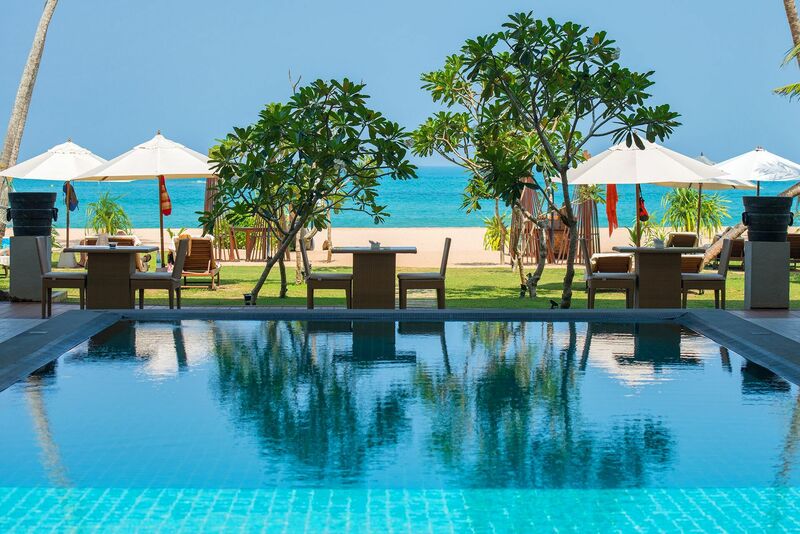 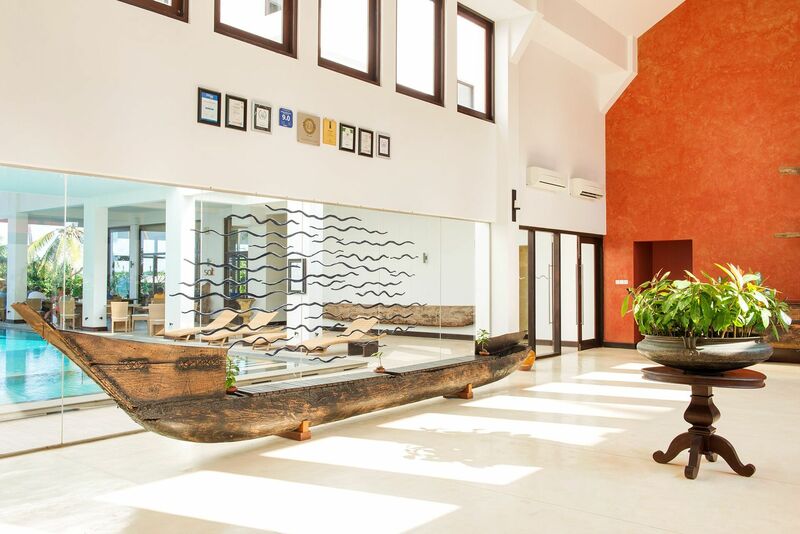 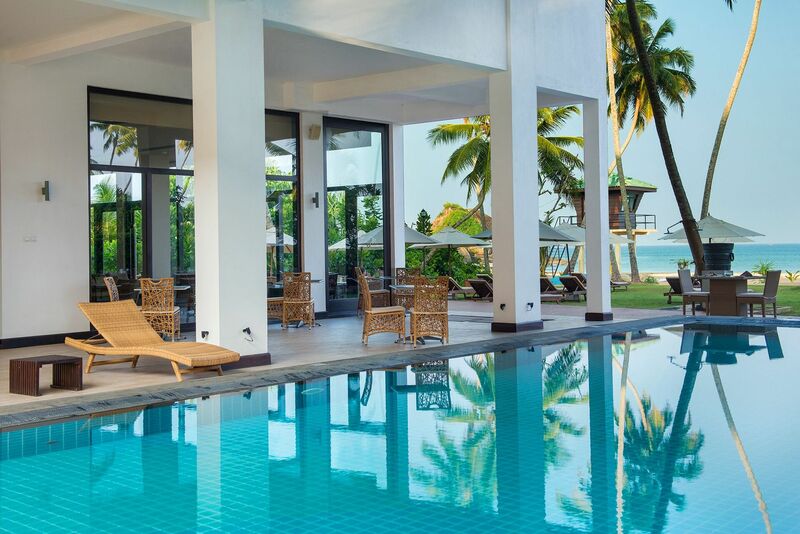 Shinagawa Beach is a member of the exclusive ‘Small Luxury Hotels of the World’.Located just 40 minutes from the historical city of Galle, Shinagawa Beach is a great place to stay in the south of Sri Lanka. 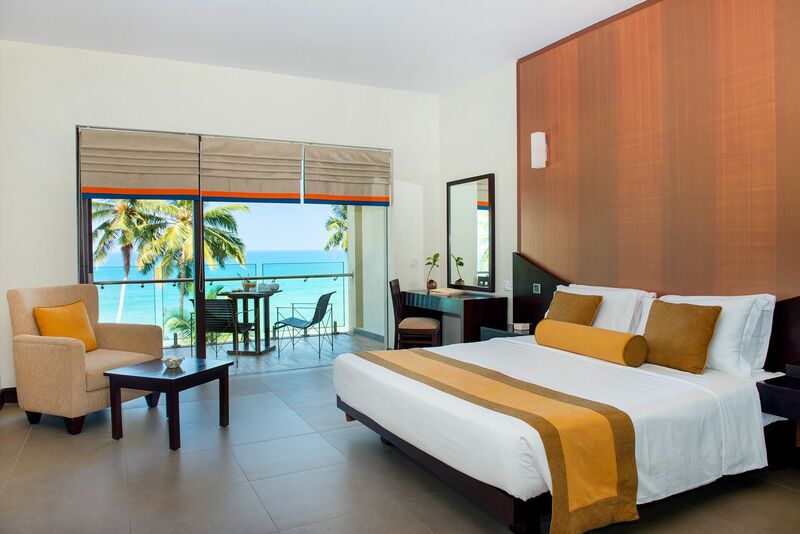 Our supremely comfortable Deluxe Rooms and Suites each come with a private balcony and are designed to let you make the most of the view.The bathroom of the Deluxe Rooms hasa wall of glass that looks out to the bedroom, balcony and ocean beyond. 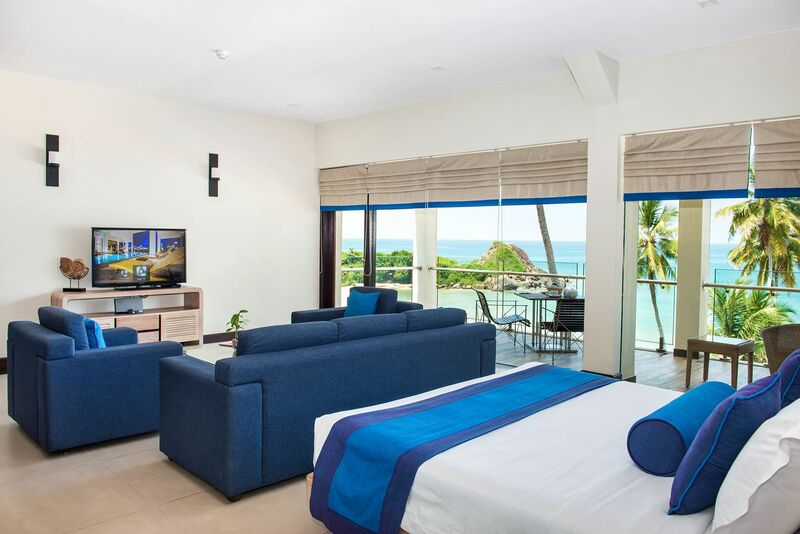 The spacious suites let you enjoy a panoramic view of the ocean whether you are lying on your bed, seated in the lounge or even in the bathroom. 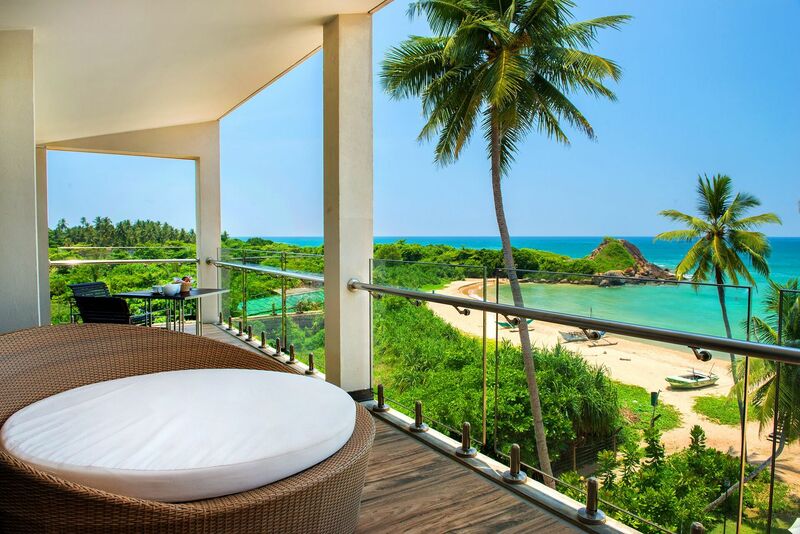 The large balcony of the suites includes a ratan love-bed for you to chill out in and watch the sunset. 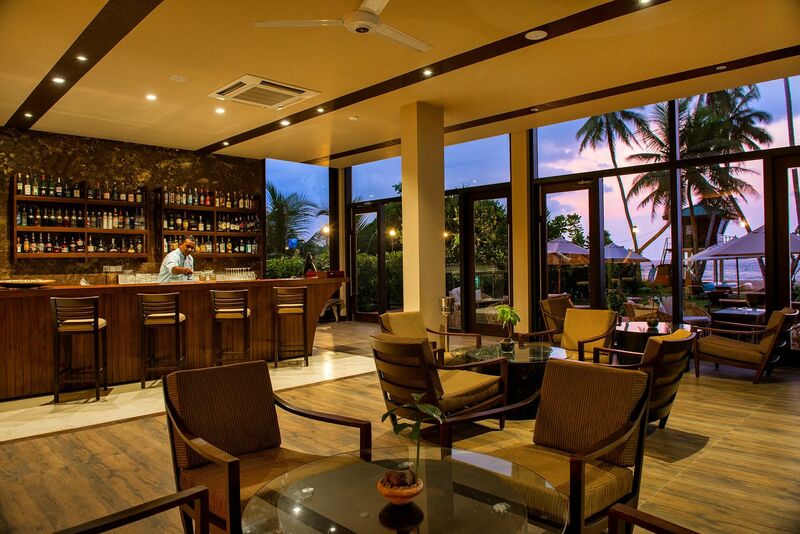 Suites also come with Bose sound systems and an espresso machine. 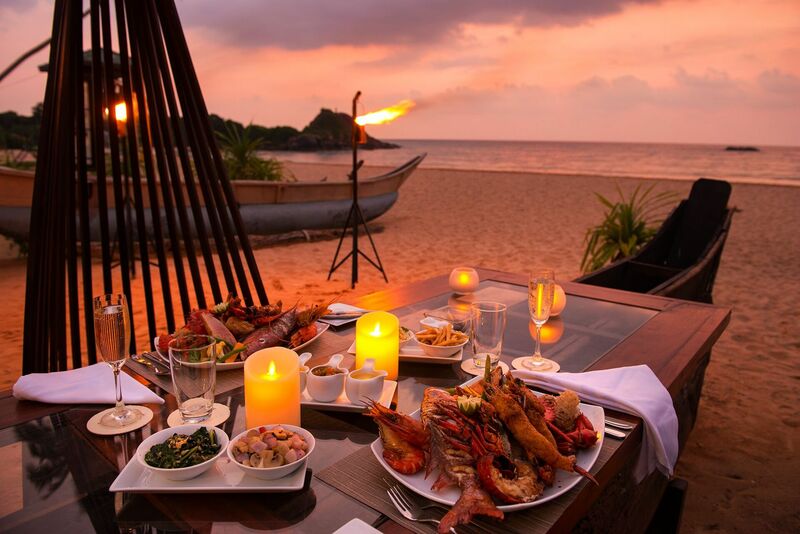 Salt, the restaurant serves a range of international cuisine including the freshest of seafood. 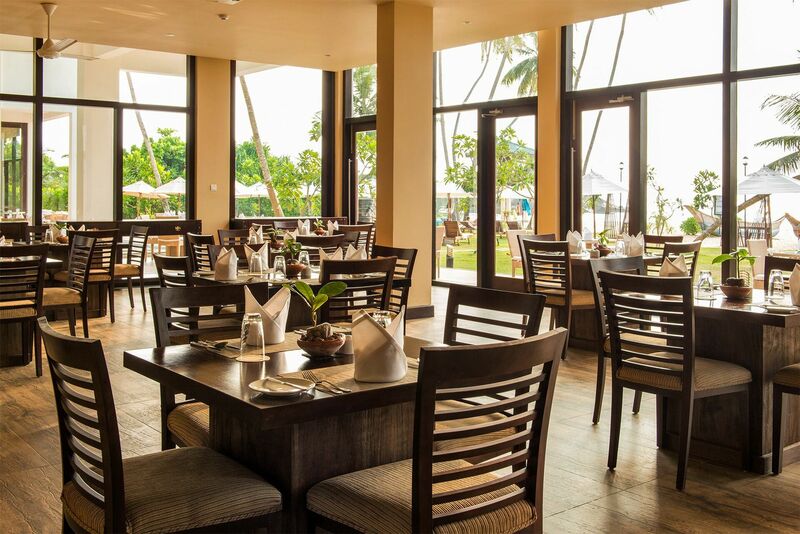 The Bar offers a signature cocktail menu and an extensive wine list.The Tuna Boat lets you dine in a unique setting on the beach. 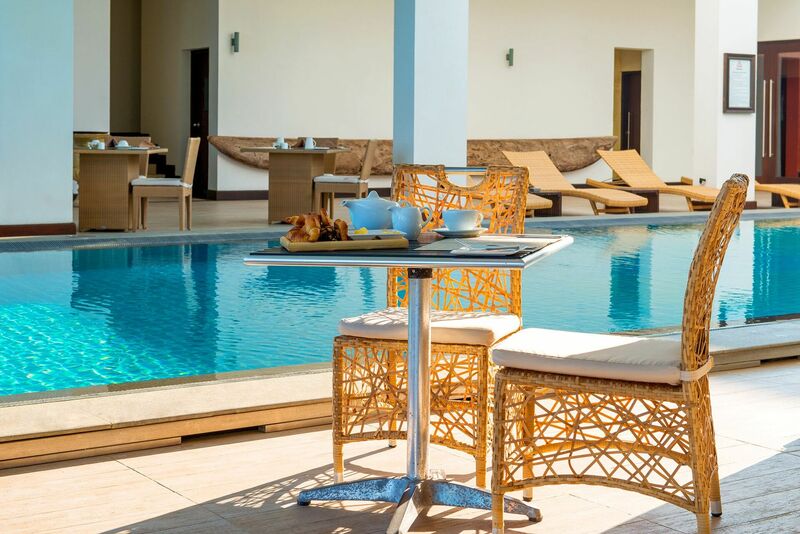 The poolside at Shinagawa Beach is perfect to spend hours at as you sunbathe in the garden. 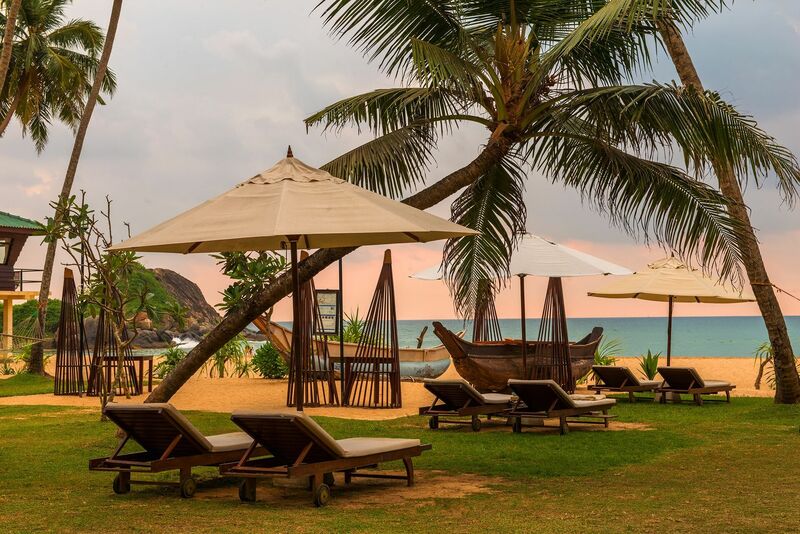 The Spa offers a range of soothing treatments for your ultimate relaxation.Complimentary wifi is offered everywhere in the resort.